New York Style Cheesecake is known for being rich, creamy, heavy and indulgent. And when I say “heavy” I mean it literally, because the classic recipe for this type of cheesecake calls for 2 1/2 lbs of cream cheese! The dense but smooth texture of the cheesecake is its signature, setting it apart from other types of cheesecakes and making it so popular – and rather high in fat from all that cream cheese. 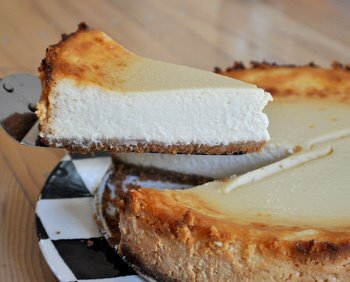 Having a slice once in a while is a real treat and not one to miss, but a lighter version of this classic recipe, like the Authentic New York Cheesecake developed by Americaâ€™s Test Kitchen from The Americaâ€™s Test Kitchen Healthy Family Cookbook means that you can indulge a little more often. This cheesecake looks and tastes just like the real thing. It is dense and creamy, with a wonderful cream cheese flavor backed up by a hint of lemon zest and a bit of vanilla extract. It feels very decadent when you take that first bite, so you might be a bit surprised to hear what goes into this cheesecake. It uses light cream cheese – with only a fraction of the fat of regular cream cheese – as well as low fat cottage cheese and low fat yogurt cheese. The trick to using the cottage cheese is draining it. Getting rid of that excess moisture allows it to blend very smoothly in with the rest of the ingredients in this cake. You will need a food processor to make this cheesecake, as it is essential to getting the texture of the filling down pat. The yogurt cheese is also an unusual ingredient. Some stores sell yogurt cheese already packaged (it is also called labne), but you can simply use thick Greek-style yogurt and drain it along with the cream cheese for a similar result if your store doesn’t carry the labne. America’s Test Kitchen recommends draining plain, non-Greek yogurt for 10 hours to make your own yogurt cheese, but it is a lot quicker to start with the thicker Greek yogurt, which is easy to find in just about any grocery store. The other trick to this cheesecake is the baking method. Some cheesecakes call for the use of a water bath, which allows heat to hit the pan at a very consistent temperature. This cheesecake is baked briefly at a very high temperature to set it, then baked for a long time at an extremely low temperature, which allows the custard to cook gently even without the aid of a water bath. Your cheesecake shouldn’t crack during baking with this method, although I will confess that mine cracked during cooling because my kitchen was very cold and the big temperature change caused the cheesecake to cool too quickly (and therefore crack). This cheesecake is delicious plain or topped with fresh berries. It keeps well, covered in the refrigerator, for at least two days after baking, too. 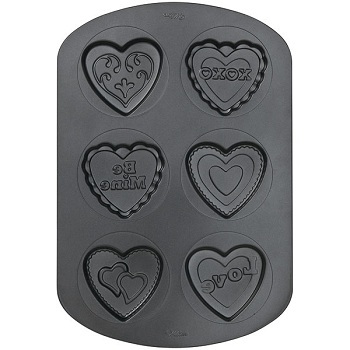 For the crust: Adjust an oven rack to the middle position and heat the oven to 325 degrees. Process the graham crackers in a food processor to fine, even crumbs, about 30 seconds. Add in melted butter and sugar and pulse or stir to combine, then pour crumbs into a 9â€‘inch springform pan and press into an even layer using the flat bottom of a measuring cup or glass. Bake the crust until fragrant (and browned around the edges), 10 to 15 minutes. Let cool on a wire rack for 30 minutes. For the filling: While the crust cools, increase the oven temperature to 500 degrees. Line a medium bowl with a clean dish towel or several layers of paper towels. Spoon the cottage cheese into the bowl (and Greek yogurt, if using instead of yogurt cheese) and let drain for 30 minutes (this can also be done in a fine strainer). continue to process until smooth, 1 to 2 minutes, scraping down the bowl as needed. (Yogurt can be added with cottage cheese if you drained them together). Add the sugar vanilla, lemon zest, and salt and continue to process until smooth, about 1 minute. With the processor running, add the eggs one at a time and continue to process until smooth. pan on a rimmed baking sheet. Pour the cheese mixture into the cooled crust and place in the oven. Bake for 10 minutes at 500F. Without opening the oven door, reduce the oven temperature to 200 degrees and continue to bake until an instant-read thermometer inserted into the center of the cheesecake reads 150 degrees, about 1 hour and 30 minutes, rotating the pan halfway through baking. the pan tightly in plastic wrap and refrigerate until cold, about 3 hours. cheesecake stand at room temperature about 30 minutes before serving. 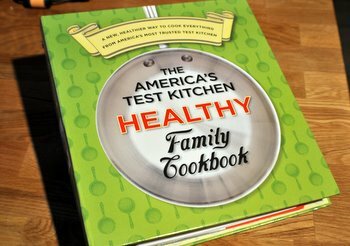 America's Test Kitchen Healthy Family Cookbook giveaway! Previous PostPrevious America’s Test Kitchen Healthy Family Cookbook giveaway! I recently made a light cheesecake too… and it was delicious! This one looks so good too, definitely on my list! I so appreciate the calorie counts! I love that you can make cheesecake taste just about as delicious without so much fat! I never use all regular cream cheese when I make it anymore. great to see you care about calories, my favorite american test kitchen recipe is “fire cracker chicken strips” although anything I make from their magazine has turned out great. Would love to add some new recipes to my collection! YUM! I never make cheesecake, but this really tempts me! That is great that you mentioned that using a food processor is key to getting the filling right. Little things like that in a recipe is excately what makes it great! thanks!! I love cheese cake but mine always come out poorly. I followed one of your recipes on pastry and it came out great so I’m definitely going to try making your cheese cake and follow it to the letter too. Thanks a lot for the recipe! I haven’t made cheesecake in such a long time. Now, I don’t need to be afraid of the fat grams involved. Thank you for sponsoring the giveaway and that I won a copy of this book. I’ve got a few of their cookbooks, but not this one. I’m on a mission to lighten up my baked goods, and I completely trust ATK’s research. I can’t wait to make this dessert– without the guilt. since you have such an abundance of recipes, have you considered doing a formal recipe index, listing each recipe under the categories? the index as you have it now makes it hard to see what’s inside each category without browsing page by page. (i did notice the search option). many thanks for providing so many delicious baked goods for inspiring chefs and bakers! Can you clarify the first line of the “Filling” instructions? Do you increase the oven temperature to 500 degrees as soon as you put the crust in the 325 degree oven to bake, assuming the crust will be done before the temperature gets too high? gnancy – I’ve clarified that a bit in the instructions. I think I simply made a small typo! The oven temperature should be raised after the crust has finished baking and is out of the oven. One of my roommates absolutely loves cheesecake so I will have to try this out. This is an interesting approach because I would have never thought to put cottage cheese in cheesecake because of the texture. I’ll try straining it next time I make a cheesecake! I tried this recipe today and it turned out quite well. The top did have one small but rather deep split so next time I try it I’ll probably put it in a water bath for extra precaution. The consistency and top surface texture are just right, except the it turned a bit mushy and syrupy along the side. Any thoughts, Nicole? I have a question about the draining part of cheese what do you mean by draining the cheese and if it is what i think you mean could i use a coffee filter? Ahhh I just made this cheesecake. I was wondering why there was SO MUCH filling but disregarded it. Its in the oven now, Hope it comes out okay! I followed the directions to a t, but despite my efforts, the result wasn’t so good. I may have made some mistakes. 1- slightly to much graham crackers in the crust which went up the sides of the cake, 2, an oven that needs to be calibrated, the center came out slightly underdone, 3- I packed the zest into the tablespoon measure which pronounced the lemon flavor. Nonetheless, though the cake had a heavy consistency, without the berry sauce, I added blueberries to the strawberries, and on it’s own it was, flavorless.